Moore Design is a Wellington-based boutique architectural firm with a specialty in high-end residential home design. We bring fresh, innovative, creative design and outstanding service to each project we take on. Our designs are using the latest architectural software, offering you a virtual environment to explore your home. Projects are designed to the latest construction standards and best practices, offering a unique style to meet your expectations. We're building a legacy through our relentless commitment to creativity, attention to detail, and client service thats second to none. My name is Ant Muir. 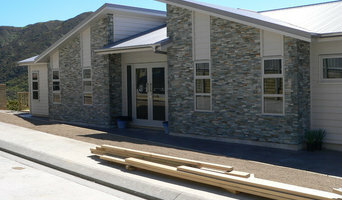 We provide quality architectural design and engineering solutions for the residential community. From site development, new builds to renovations, alterations and extensions, to specific design, and everything in between..... we have you covered. We offer our services to home and building owners as well as builders, designers, engineers and professional colleagues who require assistance. Introducing Robyn De La Haye, the Design Director of Essence Design Ltd. I have a Design Degree - Bachelor of Design and have 19 years industry experience in Interior and Architectural Design. Including working for Architects, in Wellington, London, Edinburgh and Lewes. Essence Design Ltd was incorporated in early 2004. I am passionate about quality design, and creating spaces which encompasses as many of my client’s needs, desires and wish lists, in terms of their budget. Working closely with Essence clients, I can offer a full design service from conception to completion. Architectural design constitutes a myriad of important decisions, which culminate into a bespoke design capturing the unique characteristics of both the homeowner and the site. Whether it is a small addition, large-scale alternation or new build there are three key components’ to crafting the perfect design: internally, externally and as a whole. External – how is it going to look and function on the site? Internal – how is it going work for you as individuals and as a family? As a whole – how is it going to perform as an entity? As problem solvers, communicators and above all creators, let us guide, assist and design you into the home of your dreams. Rochelle’s mantra is Designed for Living. Good design choices have impact in the way you live in your home. Rochelle believes houses should be designed to make the most of natural light, orientation to the sun and surrounding environment, using views to enhance the property. Building a new home can be a daunting process but with the advice of a good designer leading the way the whole project can be less stressful and more fun. 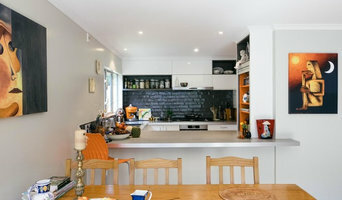 Creating a home for your family, considering all their needs, using materials for function and design, and of course just the right amount of space for work/hobbies/guests or any other special needs are what Rochelle does best, ensuring that your family will love their new surroundings. Rochelle ensures she stays up to date with the latest building regulations and products by attending regular professional development seminars. ADarchitecture is an award-winning architectural design practice. Our resources, experience and capability is extensive with particular strength in residential, multi-unit and commercial projects of any scale. As leaders in applied design we have a reputation for our work in sustainable design and informed decision making. Our goal is to design innovative, environmentally conscious architecture and to provide an exceptional architectural service, which meticulously considers the client’s needs, the building’s purpose and the environment. To build a successful company, it must be confidently founded upon its core values. This innovative architectural practice commits itself to creating customer and employee satisfaction within a positive and professional environment and will endure to provide this with integrity, consistency, efficiency, authenticity and with outstanding service within a positive and creative atmosphere. Our focus is to constantly move forward using ever-evolving innovation, professional development and equal opportunity amongst staff. Dedicated programmes for education within in all areas of architecture, the various construction elements and the Building Code is an ongoing and enjoyable experience creating a strong and confident team that is always up-to-date with the latest trends in the Architectural and Construction Industry. 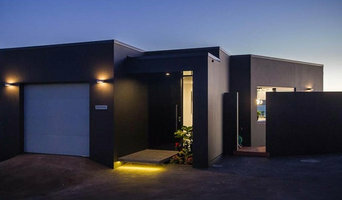 GMAD architecture is a Wellington based Architectural Consultancy providing contemporary, creative and functional residential design which responds to the client's brief and individual site requirements. ARCHITECTURAL, INTERIOR AND LANDSCAPE DESIGNERS Joey and Shelley Groves are the creative couple behind Onemind Design, offering a shared design ethos for all your indoor/outdoor renovation requirements. Whether you want a complete home renovation/addition or garden overhaul or simply want to improve a couple of rooms or a patio area, Onemind Design can assist in making your aspirations become a reality. They can take care of it all for you, from start to finish, from a simple planting plan to a major home remodel. 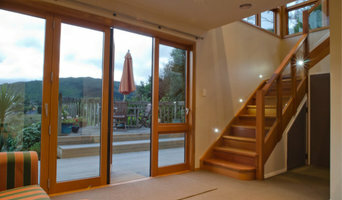 They have many happy clients throughout Wellington, south Wairarapa and the Kapiti coast. Let them know how they can help you achieve a superior, elegant and integrated outcome for your home and garden. Whether it’s adding on a room, second storey, kitchen, laundry, bathroom, garage, spa, swimming pool, deck, courtyard, conservatory, retaining wall, pergola, addressing a leaky home, maintenance, a complete renovation or garden makeover, we can assist, turning vision into reality. We can produce CAD concept, detailed, compliance and construction documentation to obtain all council approvals for your building and/or landscaping project. We can take care of all your resource consent, building consent, certificate of acceptance or encroachment licence application needs. We can save you time and energy by providing budget advice, arranging building and/or landscaping contractors, taking care of cost control, running tenders, site supervision and addressing legal issues. Each project is different, so we can vary our services, timings and charges to cater for your specific needs. 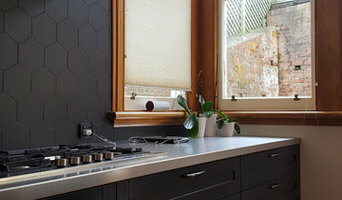 DLAS Architecture [Design Lounge Architecture Studio] is a boutique Architectural Design company based in the Wellington region. We concentrate on designing high quality residential homes for our discerning clients.